There may not be a Mr Blonde or Mr Pink on the scene, but there are plenty of Mr Orange with our specialist Salix team. 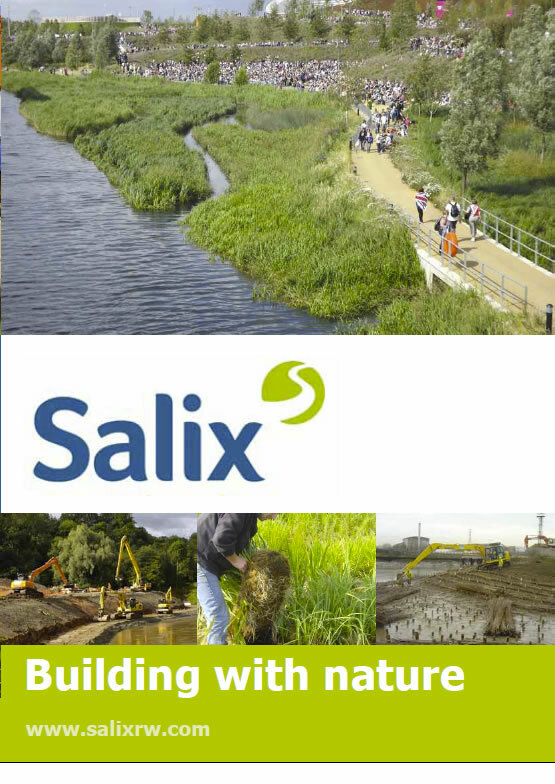 Salix have recently completed a project on a reservoir in North London to provide a sensitive solution to erosion issues along a stretch of the shoreline. The reservoir, which has a crest length of around 2,670 m is impounded behind an earth fill embankment dam which has a puddle clay core at its centre. Over much of the inner embankment face, the inner face is initially grassed and slopes at around 1 v on 4 h between the dam crest and the coping to the curved concrete wave wall. Below the concrete wave wall the embankment face slopes at around 1v 4h and is protected by a combination of concrete slabbing and concrete slabbing overlain with Open Stone Asphalt. Along the western side of the reservoir over 700m of the internal face of the embankment is unprotected and was suffering from wind wave erosion along its length. The erosion had formed a noticeable notch at around top water level with a series of inlets and shallow beaches in a number of locations. The solution chosen was to reprofile the inner face along this length of the embankment and then protect the surface by the placement of ready filled Rock Mattresses with Vmax C350 installed above. Embankment protection was required together with crest road enhancement. The prefilled Rock Mattresses offer a robust engineering solution to the erosion problems but also provide an environmentally beneficial outcome by using small stones that accrete sediment, encourage vegetation to establish and provide invertebrate habitat within the stone. The Rock Mattresses arrive on site ready filled, so installation is very quick with no stone wastage. The quality control at our factory manufacturing the prefilled mattresses ensures a consistently high quality finish on site. It is the stone size in the Rock Mattresses that delivers the high level of erosion protection in a thinner layer than would have been necessary if traditional stone riprap was used. Over time the solution will blend seamlessly into the environment providing long term erosion control with a greener, softer visual effect. Takeover from Thames water went extremely well and we have no snags regarding your works. I will be filling out a supplier assessment form with Procurement but it will only be complimentary of the way the works were conducted in a professional, safe and clearly demonstrated your expertise in this field.